We have extended the expertise within our Energy Team, with the appointment of a new Corporate Associate Solicitor, Amy Wanless. We have confidence in the North East energy sector and this appointment adds depth to the expertise already available to our clients. Amy brings a wealth of national and international experience in mergers and acquisitions, private equity investments, joint venture agreements and commercial agreements, with particular expertise within the energy sector. Previous to her appointment, Amy was seconded to Element Power (a global renewable company backed by US private equity house Hudson Capital) as sole interim legal counsel. Whilst at Element Power, Amy advised on joint venture investments and project disposals for wind farms and solar projects in the UK, Ireland, Sweden and Finland. Originally from Nottingham, but having studied at Newcastle and Northumbria Universities, Amy returned to the North East three years ago after working in London, Birmingham and Cape Town. 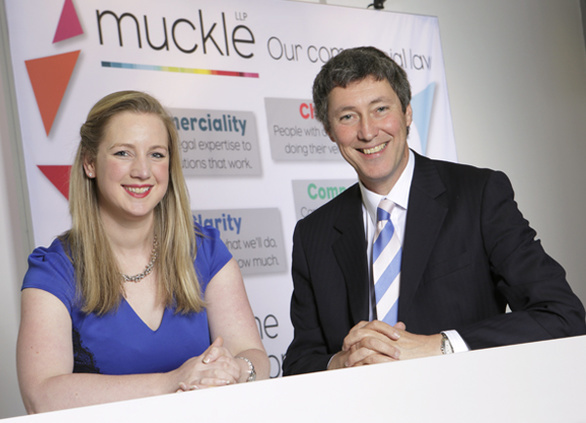 Andrew Davison, partner and head of the Energy Team at Muckle LLP, said: “We are delighted to welcome Amy to the team here at Muckle LLP. Her experience and skills within the energy sector, coupled with a solid background in corporate law, brings us an increased depth of sector expertise that complements our existing services. For more information, help or advice please contact our Energy Team on 0191 211 7777 or email [email protected].